Any chance you could share the file? I sent the decal maker the jpg and they printed it in the size I specified. I had them done in color on as you see it here and one in a mirrored version for the other side. Airplane scheme is orange Monokote with everything in front of the wing being white to make the decal pop. Okay, I admit that I went on the dark side a while back. Those ARF Phoenix Tigers are cheaper and better built than what I can do. I decided to modify the 90 size version to a twin using two OS 46AX's and ran the engines today for the first time. The sound of a twin is so sweet! Still have some final finish and paint to do on the nose and on the nacelles but it should be ready for a first flight this week. Hey Tiger lovers. 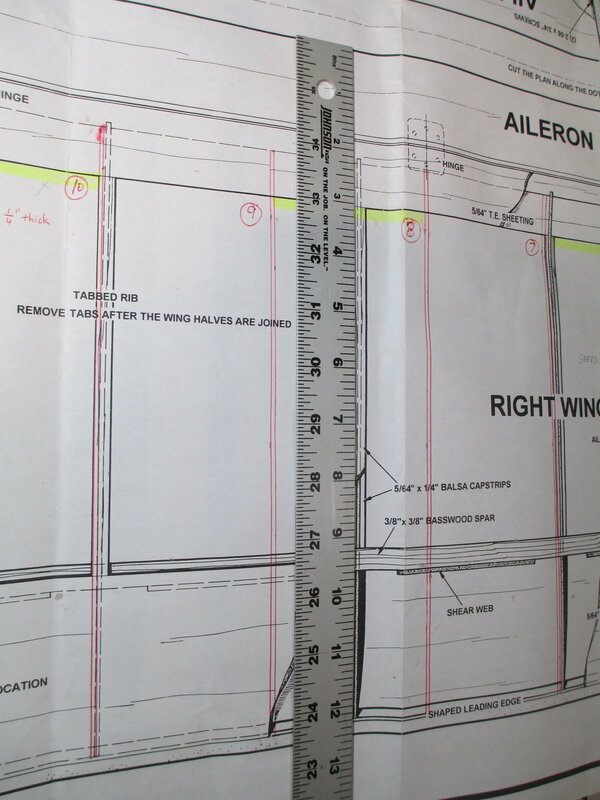 I was able to arrange to have a set of plans printed (Tiger 2) from HEMIKILLER (here on this site). Would be nice to get a laser cutter to furnish the wing ribs. Would be a quick build after that as the Tiger 2's are so straight-forward. Anyone have a suggestion on a laser cutter that would provide them as a standard item? Try Rob at Balsaworkbench.com he cuts rib kits to replace the regular and mini Ace constant core foam cores. I have also had him cut 5 short kits for me. He is reasonable on pricing too. He does it as a hobby he has a day job and grows his family's food too. I can't say bad word about his work. I am trying to reverse engineer the TIGER 60. I am hoping some one can tell me the chord of the wing. I have estimated it to be 12-3/8" but some of the information I have indicates 12-1/2". I'll check the plans and post for you tonight when I get home from work. Thank you, Appreicate the help! Here you go Alan. Measurement taken from the edge of aileron to the Leading Edge of wing. 12-1/2" on the nose. Thank you, 12-1/2" it is. Time to make some adjustments. Time for an update on one of my backburner projects. 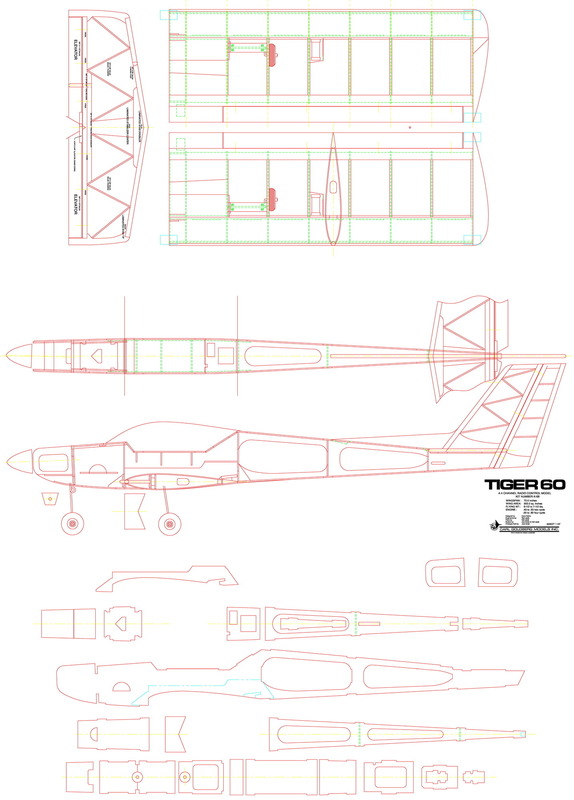 Here is a draft on the CAD conversion for the CG TIGER 60. What engine are you going to use Alan? 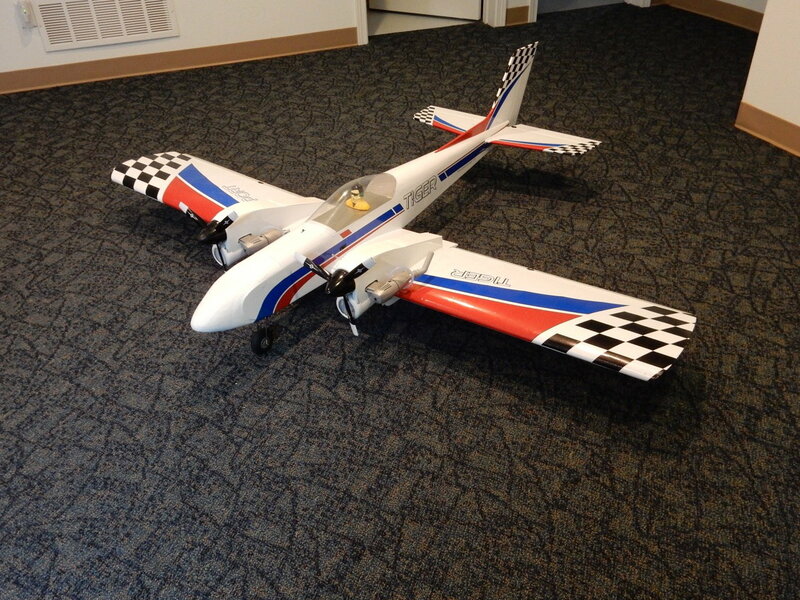 I built mine last year and I used a DLE-20 engine. I have some really nice OS 2 and 4 strokes that would be perfect. I'm considering trying elcetric the new motors out there are looking pretty good, the last e-motor I used was an Astro 05 so it would be new teritory for me. The previous Tiger that I had, I used a OS .91 4-stroke engine and I really liked. What ever you choose to use don't be afraid to go big it will take it. Tigers tend to build a bit on the tail heavy side, especially if you modify the tail section. Post pics, you're off to a good start! A friend of mine once told me you can never have too much power, he was hovering his plane on the prop at the time. I went through your build and really like the mods you incorporated (thread bookmarked for future reference), the new tail feathers look great, and a two piece wing is a must on a plane this size. Once I have the original plans complete I'll create a revised version. Hope you don't mind if I steal some of you ideas? Don't mind at all, hope it inspires you to create your own unique Tiger. Looking forward to see your build! 3/26/19 Update - Here is the latest draft for the TIGER 60. Almost there, still tweaking it. Added an option for 2 wing dowel pins instead of the single one. Read that the single pin is a weak point. Here is the PDF and the DXF file for the Carl Goldberg TIGER 60 CAD conversion. Last edited by Wizardofflight; 03-29-2019 at 07:15 AM.